This news is going to dishearten many Nokia fans as well as people who had put off buying a new Android smartphone till Nokia releases its two smartphones. The leaked benchmarks pointed to a certain Nokia Android 7.0 Nougat 5.5 inch smartphone with Snapdragon 430 Processor and is being called Nokia D1C. However, a new report by GSM Arena says that the Nokia D1C is actually a 13.8-inch tablet. This is contrary to previous reports about Nokia preparing for the launch of a D1C-named Android smartphone. The last report indicates that Nokia is actually gearing up to introduce an Android tablet with a 13.8-inch display called Nokia D1C. GSM Arena report states that the screen size of 13.8 inches was obtained from GFXBench. 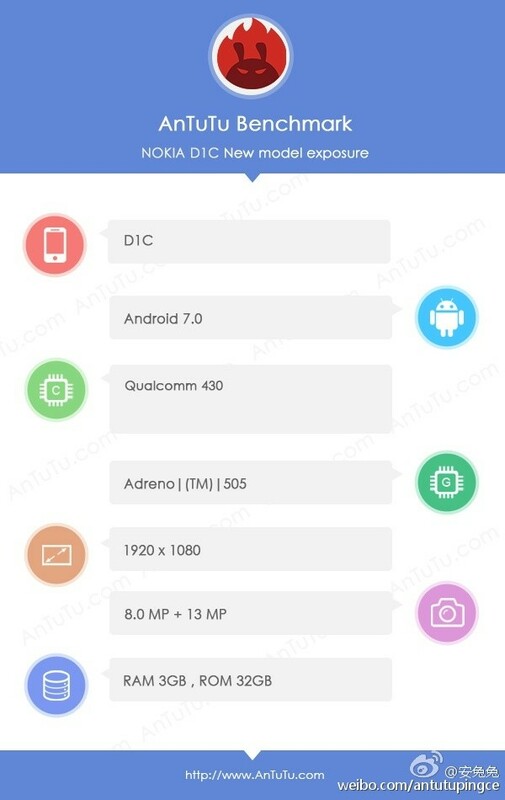 The report states Nokia D1C will have a 13.8-inch display with 1080p resolution. Rest of the specifications are same according to the specs that appeared on AnTuTu App. Nokia D1C tablet is said to run Android 7.0 Nougat out of the box. It is reportedly powered by a 1.4GHz octa-core — possibly Snapdragon 430 —processor and an Adreno 505 GPU, as per PhoneArena. It will be coming with 3GB of RAM and 16GB of internal memory. As reported earlier, Nokia D1C will sport a massive 16-megapixel front snapper and an 8-megapixel rear camera. GSM Arena says that the Nokia D1C is being launched in direct competition to Samsung’s Galaxy View with 18.4-inch display and Alcatel’s Xess.